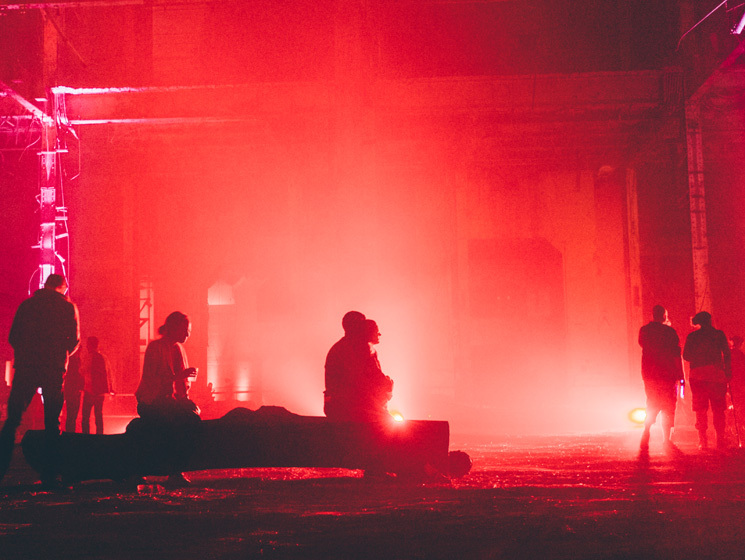 The space and atmosphere at Unsound created a unique music experience. Helena Hauff's opener was such an abrupt change from the '80s synth outro of Lena Willikens that she made her presence know immediately. She dove straight into drum-heavy acid techno, and pretty much followed along the same path for her entire set. Hauff was positively relentless in her form, never giving the crowd more than ten seconds to catch their breath before dropping yet another thumper. While her recordings are by no means soft, they rarely wander into territory as hard as her Unsound set. It was a look into all the classics that have shaped Hauff's releases over the past couple of years. The German producer is known for playing very unorthodox sets, going so far as to drop Slayer tracks out of nowhere. She tends to just play whatever she's feeling, and it appeared that at Unsound, she was in the mood for nothing but pounding techno, much to the delight of the crowd, who were ready to dent the side room's floor after a long night of avant-garde performances at the main stage. Her all-vinyl set was a never-ending stream of quality techno, marking Hauff as one of the top acts of the genre to see live and one of the most exciting newcomers in years.